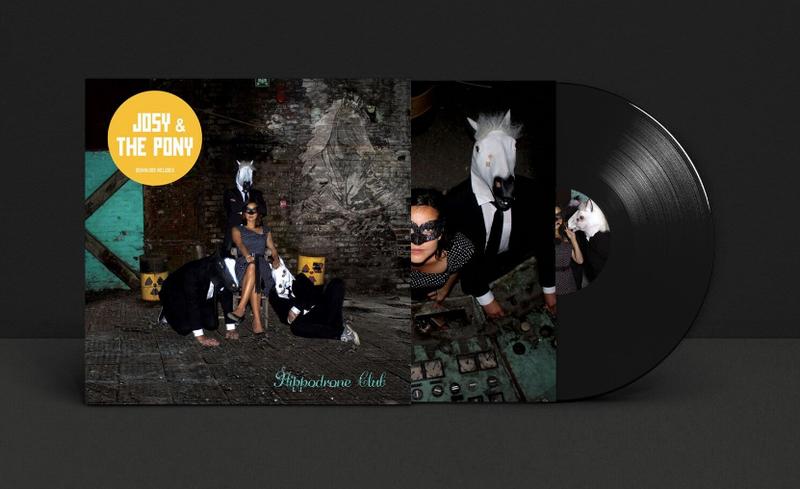 Created in 2015, JOSY & THE PONY releases its first album “Hippodrone Club”, with THE PONEYMEN as a bancking band, just one year after being awarded by the competition “Du F. Dans le Texte“. The combo, yet under the spotlight at the Humo Rock Rally and Franc’off events, moves forward by breaking the codes where you expect them least. JOSY & THE PONY, this is just as if Messer Chups or Man-Or-Astro-Man? discover the young Brigitte Bardot and Jacqueline Taïeb plastered in a garbage can, or as if the B-52’s decide to do an internship in exhaust pipe audio recording in the Smurfs’ country, accompanied by the ghosts of Serge Gainsbourg, and the Shadows.